21&Co provide help and support to new parents from the moment they learn their child has Down syndrome and offer support, advice and encouragement. Their mission is to enhance the lives of children so they can reach their full potential and go on to lead independent lives. The charity was started in 2002 by Joanne and Sue when their daughters were about to start nursery school and wouldn’t be able to meet other families with disabled children at the playgroups they attended. They started by arranging coffee mornings and tea afternoons for local families who had a child with Down syndrome – sometimes it was just Joanne and Sue with Blythe and Sophie but gradually word got around and other families began to come along regularly. In 2004 they were joined by Alison and Diana and at four strong they took a big jump into organising communication groups for their children. They had no experience or money to pay their staff or rent at the beginning but managed to raise enough funds to get through the first term and the rest, as they say, is history! 21&Co became a charity in 2005 and were joined by Tatty, who later trained to provide communication groups to the charity’s pre-school children. They are now a board of eight and are all parents of children and young people with Down syndrome. From a small start, 21&Co have grown to provide specialist services for their children and young people; social opportunities for their children and young people; information and educational services for families and professionals; and social events for their parents and families. When 21&Co started they only worked with children who were pre-school to infant school aged but they now work with young people up to 18 years old. 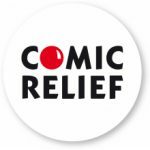 21&Co don’t receive any funding from local or central government – all their funding comes from their own fundraising efforts, support from their families and friends and from Foundations such as the Peter Jones Foundation. 21&Co have had wonderful support from families and friends and have built a real, supportive community with the charity. 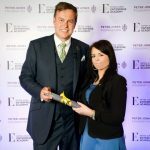 In 2014, the Peter Jones Foundation donated £5000 to 21&Co, which was used to support various activities and projects that the charity run for the children and parents they work with. 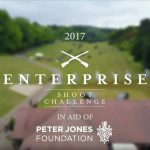 Over £127,000 raised at the Charity Shoot!